Although within the autism community (those who follow and read books) it is already known for quite some time that Hans Asperger sent kids away to be euthanized. This is old news. Although it is recently picked up by mainstream media. Off course, the aspie supremacists show their true colour, because they see their “identity” threatened by this news. 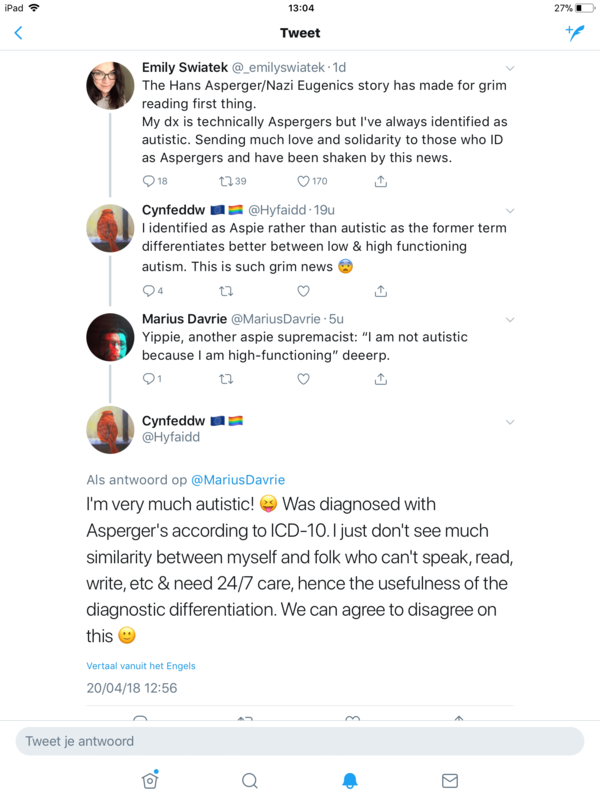 If they would’ve read up on the autism books, they would’ve known already what Hans Asperger did and would’ve probably ditched their prized distinction overboard by now, but it isn’t so. 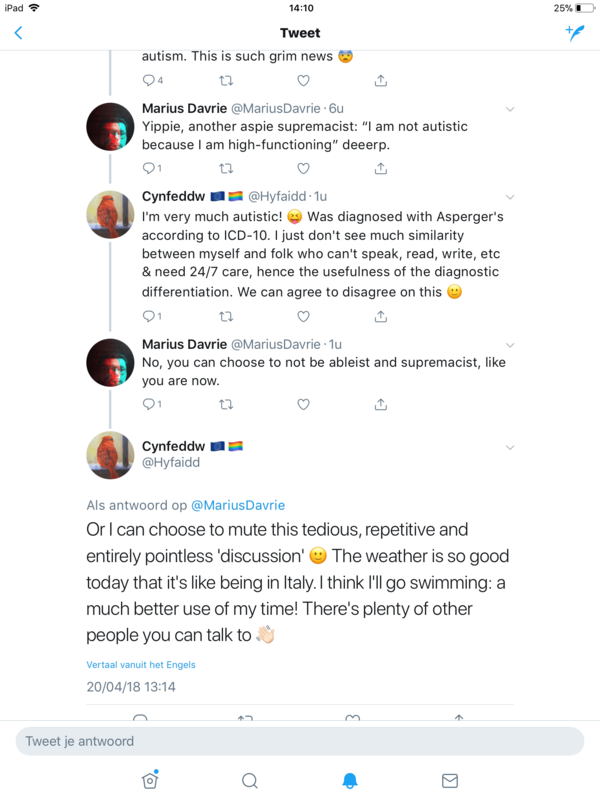 We are already attacked from outside our community, but it hurts the most when ignorant, ableist autistics join the autism haters and bash our fellow brethren. (and sistern (is this right? (english is not my mothertongue))). Here is a conversation I had on twitter with one of those supremacists.